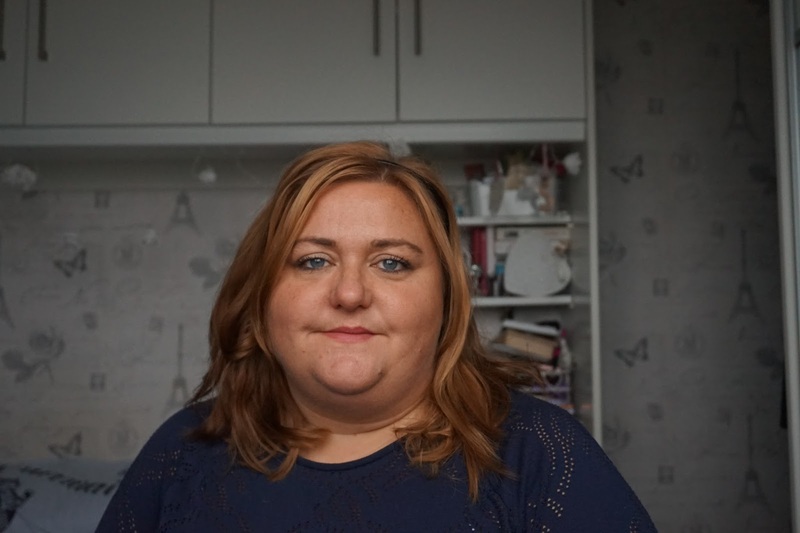 I thought I'd do a quick post to show you how I'd organise my blog the old fashioned way. With pen and paper. In my real life I'm quite disorganised my desk at work resembles a skip and covered in postit notes and often juggle 8 things at once. Blog wise i'm a bit more organised. I take part in a few challenges, do some regular posts just to keep my blog ticking over and I don't want to duplicate too much too often. 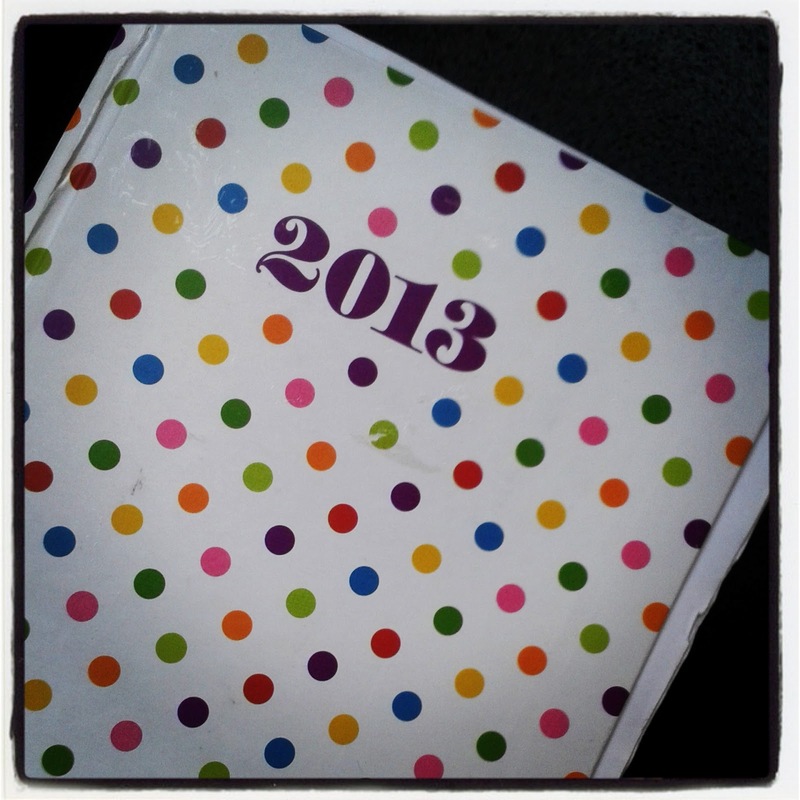 I got a diary from the pound shop but it fell apart my February. I got this spotted diary from Tesco sale for about £2. this is also falling apart but have "fixed" it with some Hello Kitty Sticky Tape. 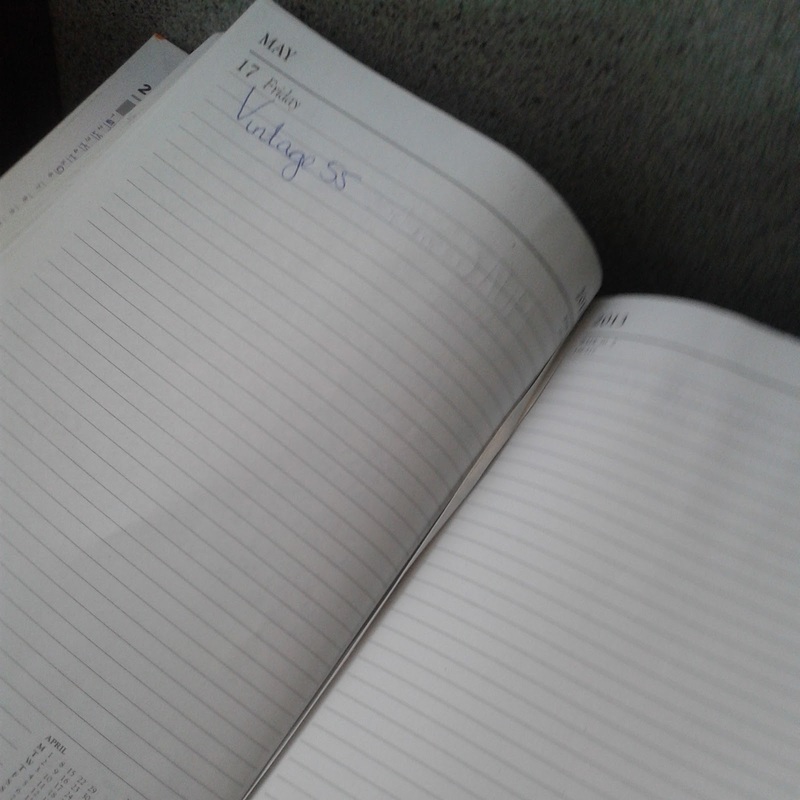 This meant I lost the day by day planner at the from front of the Diary but this didn't have enough space. I found a Template on Excel that I modified to suit me. 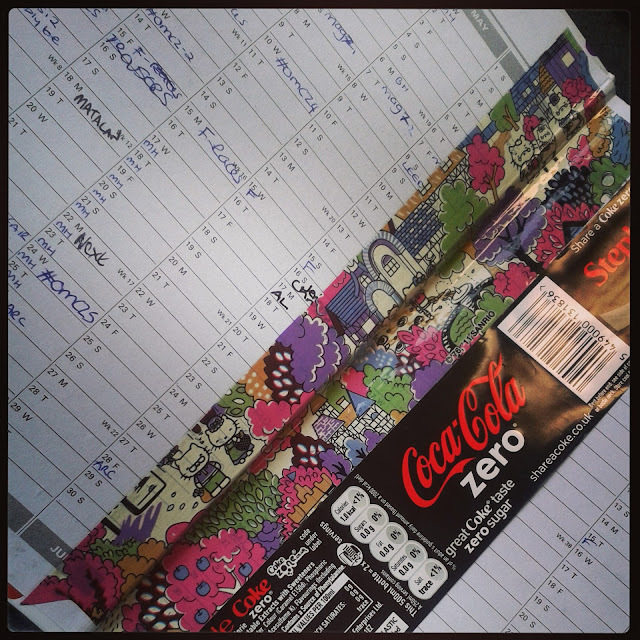 I use this to plan my month and generally helps me get a post in most days. 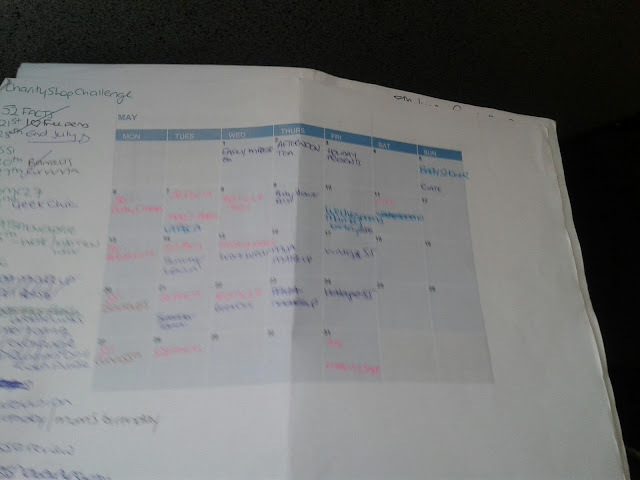 I then put in any social life type events in light blue. The normal blue pen is when i've scheduled a post I write it in so I know what day's i've got free to post on. I also scribble round the edge posts I want to write or Ideas's reminders. You will usually find bit and bobs of notes written on the back as well. I also try and remember to make a note of the days post in the diary and for the challenge posts, where the theme is known in advance this is jotted down and as I try and make some notes about what I've worn. I know a lot of people like to be spontaneous in there posts but as I'm at work Monday to Friday and I love taking part in challenges and where I can I like to take the pictures in advance and do like to schedule a few posts at once and by keeping my diary I know where I'm up to. This is also why when any of the #OMCZ ladies ask when the next post is due I can always answer. Are you organised? or do you blog off the cuff? How do you keep track of challenge posts?